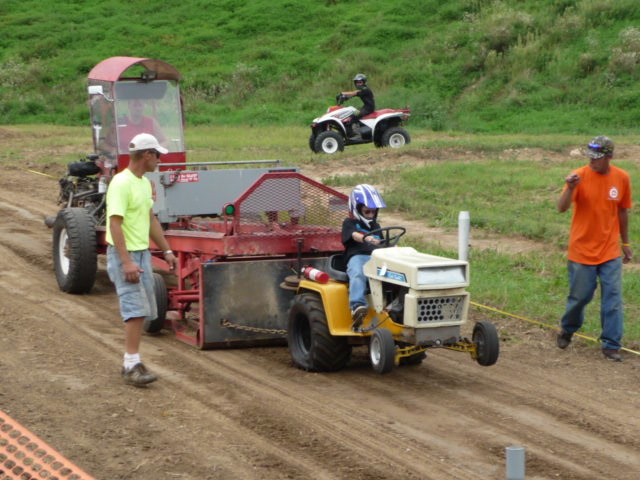 One of our better customers Ron has his two boys Paul and Sam involved in Garden Tractor Pulling. Midnight Hot Rods is proud to help with some sponsorship work on the tractors. These tractors run in the stock class, so there are just a few things you can do to make them pull better. Midnight Hot Rods has built the pipes for both tractors. Zak at Midnight moved the front axle forward and up on the Cub. He had to rework the front spindles and make a new front axle cradle. Both of these modifications will help keep the front end down when pulling.Added new seat pans so the boys can slide side to side. This will help them steer when the front end is in the air.